So you have a new product and need some type of product packaging (a carton or box) to hold it, display it attractively and ship it securely. For many small-to-medium size products a folding carton, also known as a paperboard carton, is the solution. These type of product packaging are made of heavy white paper board stock in a variety of weights or thickness ranging from 18 pt to 28 pt or more (18-28 thousandths of an inch). Folding Cartons are the ideal package for cosmetics, beauty, personal care, vitamins, supplements, health food, etc. Large or heavy products are best packaged in corrugated boxes. These can be custom-designed and beautifully printed with full color box wraps (also known as litho labels) which are mounted or pasted to the outside of the carton while it’s made. Corrugated cartons are ideal for auto parts and accessories, audio visual equipment, electronics, toys, kitchen and bathware plus consumer goods of all kinds. Double-wall corrugated boxes provide added strength for heavy merchandise product packaging. At Clear Print we’ll design the ideal package for your product, Simply provide your product sample and we’ll create a custom-designed folding carton or corrugated box and provide a free sample. Once you approve the construction sample we’ll create the artwork or provide the cutting die line for your graphic designer or artist so they can make artwork that fits perfectly. Below is a link to a short video from Lynda.com which explains product packaging die lines. 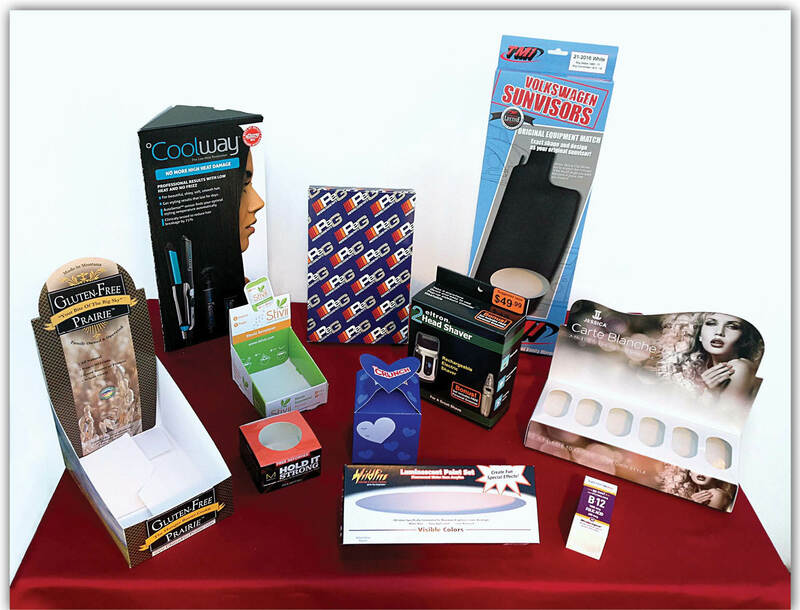 Clear Print is a commercial printer in the San Fernando Valley specializing in product packaging and product labels as well as marketing materials such as counter displays, point of purchase displays, brochures, catalogs and direct mail. Everything you need to sell your products and services made easy. Simply contact us as (818) 709-1220 or email sales@clearprint.com. We serve the Los Angeles area, Simi and Conejo Valleys, Santa Clarita and much of Southern California. 1. When you make your artwork template, make sure it includes ⅛” bleed all the way around. This should be the first step you do when setting up artwork for print. 2. Make sure that if any of your artwork goes to the edge of the sheet, that is actually “bleeds” off into the bleed area. (The bleed area gets trimmed off when the sheet is cut, but this extra area ensures that you don’t have any white edges showing when the artwork is supposed to go to the edge). 3. Make sure your artwork is built in CMYK or PMS (Pantone) colors only, no RGB. Presses print in CMYK or PMS colors. Likewise make sure that all images are in CMYK profiles. 4. Don’t design in PMS colors unless you plan to print with PMS inks. Change any PMS colors to CMYK when setting up artwork for print. 5. Make sure all images are 300dpi at the size you are using them. Images that are have fewer than 300 dpi (dots per inch, aka pixels per inch) will print fuzzy. 6. If you are using a gray, it is best to be built as a screen of black only. Grays that contain red, blue or yellow can turn pink-gray, brown-gray, or blue-gray. Neutral grays only have a percentage of black in them. 7. Make sure that your type is built in black only. You don’t want to use registration black as that includes Cyan, Magenta and Yellow in it and will give you fuzzy-looking type. 8. Build files in InDesign or Quark if you are able to. Illustrator will also work. Photoshop should not be used to create artwork. Brochures, flyers and catalogs built in Photoshop are very hard to work with since the file size is huge and there are so many layers to work in. Using the right program will help you create your artwork in ¼ the time that it would take to build the same thing in Photoshop. 9. Save your files in PDF X1a format or Press Quality. Make sure in the settings that you include bleeds and crop marks. Registration and color bars are ok too. Youtube video with great tips on setting up artwork for print. Here is an awesome tutorial on setting up artwork for print using InDesign CS 5.5. This will show you how to set up your InDesign file, navigate through different menu options, and trouble-shoot a variety of issues that come up. If you have any questions about setting up artwork for print, please give us a call at (818) 709-1220 or email sales@clearprint.com. We are happy to help you with your project! Clear Print has been in business since 1980 and would love to print for you, too. Located in Chatsworth, in the San Fernando Valley, we serve most of Los Angeles County, including Valencia, Santa Clarita, Burbank, Simi Valley and other areas. Here are some helpful tips on how to prepare artwork for printing. These tips should help eliminate delays and up-charges, as well as help you achieve a fast turnaround time. 1. Prepare artwork for printing by printing out a hard copy of your final files before you have you send them to the printer. Often people notice things on a hard copy that may get missed on screen. 2. Show the print-out to all who would have input on the finished job. Invite them to proofread and comment on anything that needs to be corrected. 3. As a rule, don’t permit opinions regarding the overall design! Such input, if needed, should be encouraged at the beginning of the creative process—not the end. “Design by Committee” is fatal and results in the lowest common denominator of what could be considered a good design. Simply invite people to find typos, wrong data or something important that’s missing and should be included, etc. 4. Likewise, discourage anyone from suggesting “better ways” to say things. Copywriting is also a skill and art form in its own right. There are many ways to structure a sentence correctly. Writing style and preferences vary from person-to-person. Simply invite a few trusted people to point out errors or ambiguities. Generally turn a deaf ear to opinions.” Copywriting by Committee” will slow a project to a crawl and result in poor, not better copy. 5. Works of art are individual creations. If one were to assemble some of the world’s great painters or copywriters and ask them to agree on exactly what to paint or how to write, at the end of a long, painful process one would have a complete mess. The Mona Lisa was not a group effort. Your favorite painting, prose or poetry was not created by committee. 6. Make any needed corrections. Repeat steps 1 and 2. 7. After all is good, show it to the final decision maker. If any corrections, repeat steps 1, 2 and 7 until final art is approved. 8. Send files to printer and view your proofs carefully whether PDF or hard copy. 9. After the initial proof, if any changes are made (either by you or the printer) get a new proof—pdf or hard copy. Look everything over again—not only the changes but everything. Design software and the software your printer uses to print your files is sophisticated but still prone to inexplicable software glitches—like all software. Change text in one place and something odd may pop up somewhere else. The rule is check everything again. Once you sing the proof you’re responsible for any errors found later. 1. Prepare artwork for printing by making sure all your images are saved in CMYK (not RGB). 2. Add a 1/8″ (.125″) bleed to all sides of your artwork template. 3. Make sure images or artwork that go to the edge, “bleed” into the bleed area. 4. Export your file as a PDF, with bleeds and crop marks indicated (in your PDF settings). Multi Channel Marketing, also referred to as cross channel marketing, is all about reaching out to your prospects and customers in the ways they want to be reached and communicated with. Multi Channel Marketing is interacting with customers utilizing a combination of communication channels from websites, to social media (Facebook, Twitter, Pintrest, etc. ), retail stores, mail order catalogs, direct mail, email, mobile, etc. The purpose is to enable your prospects and customers where and when they want to be communicated to, using the channel of their choice so they take positive action–preferably to buy your product or service. Why is Multi Channel Marketing Important? Smart marketers know they must be where the customers are. Think about it. When you want to buy a product or service what do you do? Internet research on Google or YouTube? Ask friends and family for recommendations? Do you visit stores, perhaps? Do you notice mail about the purchase you plan to make? Do you look at brochures, catalogs or other product literature? Most people do. Thanks to the quantity of available channels, customers have more choices than ever when it comes to how they reach out to get information. As marketers we have to be where they have their attention, when they have it there. Sure we all have websites. But except for travel, books and music the web is not really a selling channel. Web sites without a catalog, TV, radio, print ads or direct mail promotion that DRIVE people to visit the site seldom build much new business. Your company websites is a channel for your customer to interact with you after they have ALREADY been stimulated by other mediums (Google ad, TV ad, radio ad, newspaper ad, flyers, brochures, direct mail campaign, etc.). For most companies, the best ways to reach out and attract customers are through direct mail, search engine optimization (SEO), paid target ads and others forms of advertisement working together hand-in-hand with intelligent use of social media. At Clear Print we’re experts in direct mail campaigns that capture attention and motivate customers to take action. Natural or organic SEO is also something we do successfully. For help with your Multi Channel or cross channel marketing campaign please call (818) 709-1220 or email sales@clearprint.com. Located in the San Fernando Valley, we serve Simi Valley, Moorpark, Thousand Oaks, Westlake Village, Santa Clarita, Glendale, Los Angeles and most of Southern California. There are many ways to reach people today: email, Facebook, Twitter, YouTube, traditional mail, printed media, promotion items and many, many more ways. Unfortunately you can’t rely on just one channel. In todays world you need multi-channel marketing techniques. As in the end, to get your sale, it all depends on getting the message to the right person, through the channel that is best for them at the correct time. A recent Experian survey showed that 88% of respondents plan to integrate three or more channels in their marketing campaigns. Not surprisingly, the best results often come when multiple channels are used synergistically with one message integrated across various media. But what might come as a surprise by some is that print is still a valuable part of the multi-channel marketing mix. For example, as reported in Adweek and the Wall Street Journal, a growing number of e-commerce sites are now adding printed catalogs to a multi-channel marketing mix that typically also includes email, display ads, social media and more. These retailers have apparently discovered what others knew: Print catalogs help boost online sales. Clear Print is a graphic design, marketing, and commercial printing company that provides multi-channel marketing services to a variety of industries ranging from fashion to personal care, health, home improvement and more. We recently produced a successful direct mail campaign for an apparel company that reactivate former customers and provided a positive ROI. For help with results-oriented multi-channel marketing please call (818) 709-1220 or email sales@clearprint.com. Located in the San Fernando Valley, we serve Simi Valley, Moorpark, Thousand Oaks, Westlake Village, Santa Clarita, Glendale, Los Angeles and most of Southern California. Business Forms are one of the best ways to promote your brand with your customers while increasing productivity in the shop. There are many types of business forms out there and Clear Print can print them for you at a reasonable price and a fast turnaround too. Many business forms are NCR (No Carbon Required) forms. This type of paper will copy the information written on the top sheet, and transfer it to each sheet below it in the set. These are available in 2-part, 3-part, 4-part or 5-part sets, with standard colors being white, canary, pink, goldenrod and green. Business forms can be printed in 1-5 ink colors, however they are usually printed with 1 or 2 ink colors, in order to keep costs down. To remain economical, NCR Business Forms usually have the same information printed on all parts, but we can print each sheet with its own unique information if needed. Marginal word (usually in red) can be printed along the bottom. Forms can also have sequential numbers. We print many types of NCR forms: Invoices, Checks, Packing Slips, Patient Results Letters, Teller Forms, etc. These are usually single sheet documents with the company logo, address, terms and conditions, etc., pre-printed. They are then feed through the office printer to create professional looking but personalized shipping documents. 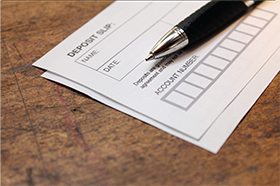 These popular business forms can be printed as continuous forms (pin-feed) or as separate forms with stubs or edge-glued along the top or side. We print multi-part invoice mailer forms, that not only allow you to send your customer an invoice for the work provided but also a method to mail payment back to you. These are called 5-part mailers and they are built into a single self-mailer format that you can personalize in the office. The parts of this form are: cover sheet (for your records), mailing envelope, invoice, payment form, return envelope. Created out of NCR sheets, it takes just one pass through your printer to crash-imprint all forms. And being a self-mailer, it is economical to mail out. We’d love to help you with your business forms, just call or email us today for a quote. Clear Print is a commercial printer located in Chatsworth, California. We serve all of the San Fernando Valley, most of Los Angeles and Ventura Counties, including Simi Valley, Thousand Oaks, Glendale, Sherman Oaks, up to Santa Clarita and more. In our last three blog articles we took up several popular folding carton constructions. This blog describes some more custom designed packaging options. 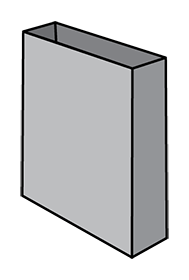 Once popular for video boxes, this is a great for rigid rectangular-shaped merchandise. The printed sleeve will attract attention and help sell your product. Usually shrink-wrapped on the store shelf, they most often have a thumb notch on each side so the product can be easily removed and replaced for protection and convenient storage. Glued sleeves are an economical way to display merchandise and gain a competitive sales edge over the competition. An added bonus is that they’re very fast and easy to load. Sealed-End boxes are sturdy and built to run on automated high-speed sealing equipment. Not made for manual loading, these tamper-resistant boxes offer more product protection than tuck-end folding cartons. They’re ideal for many audio, video, computer and electronic products. This unique shape provides great shelf appeal and is perfect for a variety light-weight items ranging from cosmetics to toiletries, skin and hair care, personal hygiene, fashion, beauty, jewelry and even fast food. To provide strength, the length must be substantially greater than the width. Need a custom designed packaging solution? Just provide a product sample. Using a CAD system, our experts will custom-design your package, provide a free sample and a competitive quote. Our graphic designers can create beautiful custom designed packaging artwork for you, too. Clear Print is your one-stop packaging source; and we invite you to check out our online reviews. Please reach out to us at (818) 709-1220 or sales@clearprint.com. Located in the San Fernando Valley, we serve most of Southern California including Los Angeles and Ventura Counties as well as Santa Clarita, Westlake Village, Burbank, Glendale and Pasadena. The quality of retail packaging and how it is designed, plays a vital role in the purchase decision. Here are a few features that can influence a purchase whether your product is sold in retail stores or online. A. When it’s time to buy, consumers will evaluate your product based in part on the package. Good retail packaging can help make the sale and land your product in the shopping cart. B. Unique folding carton shapes, structures and designs can help differentiate your product from the competition. With many competing products on the shelf or being sold online, good retail packaging must attract attention and show consumers the features and benefits of your product. C. Keep it simple when communicating the value of your brand and product claims. Highlight what is compelling and believable about your product for effective differentiation. D. Note that consumers don’t read packaging top-to-bottom but focus on the left and right corners. Thus, compelling features and claims should be put in these corners, while more lengthy content should be placed within the center of the panels. Strong images and fewer words are best, as consumers tend to zero in on visuals and then read copy to support what they see. E. Paperboard folding cartons are ideal for packaging electronics, automobile after-market accessories, gift items, personal care, health and beauty, vitamins and supplements, energy bars, you name it. Because consumers want to see what they’re buying, these folding cartons can have die-cut windows to show off the merchandise inside. 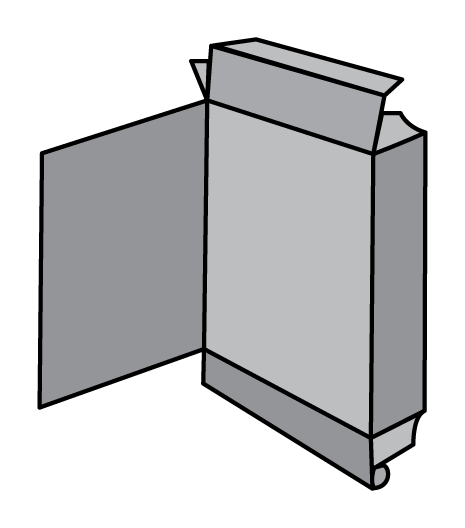 Below are drawings of some popular types of folding carton constructions for retail packaging. Both cartons above have panel hangers to hang on wall pegs or display on a shelf. The extra panel provides space for the selling message, too. These boxes can be either top-loaded or side-loaded. Both of these above boxes are made of paper board and feature an extra panel to carry your message. These versatile folding cartons are ideal for both shipping and displaying products. Fully closed when the merchandise is shipped, they open easily to display and sell the products inside. They’re popular for impulse purchases and food products such as health food snacks, protein bars, vitamins, etc. Clear Print offers free CAD designs and prototypes for most types of retail packaging. Just bring your product samples we’ll take of the rest. Personal, expert service and good prices too. We’re located in the San Fernando Valley in Southern California, and convenient to Simi Valley, Westlake Village, Thousand Oaks, Santa Clarita and the greater Los Angeles area. Please call (818) 709-1220 or email sales@clearprint.com. For many products custom folding cartons offer the best packaging solutions. Folding cartons keep products secure and display them attractively. Many include custom-made trays inside to hold the products and die-cut windows to display the contents. 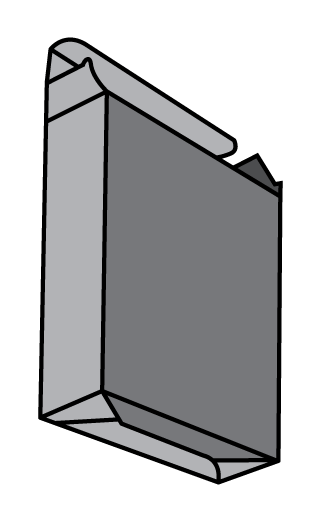 While every folding carton is custom, there are many standard box types. All can be printed in full process color, Pantone PMS colors or both. Here are some of the most popular folding carton constructions. 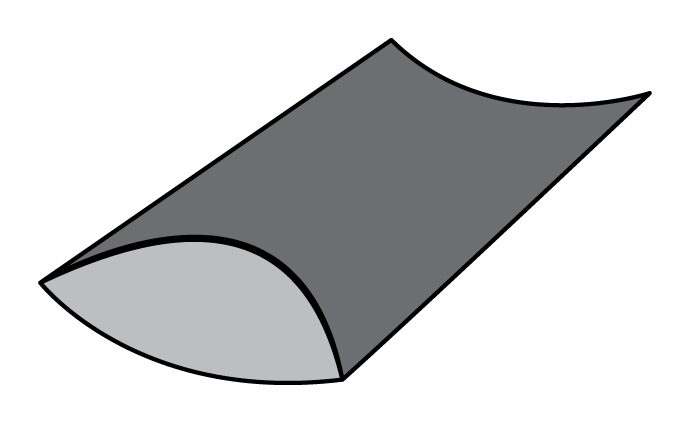 The Straight Tuck End (STE) style has four finished edges on the front for best appearance. Like most folding cartons they’re glued but ship flat. This construction and the ones below are ideal for vitamins, supplements, cosmetics, fragrances, personal care and other products. 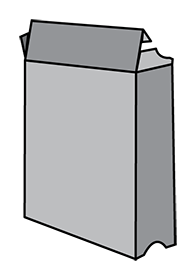 The Reverse Tuck End (RTE) boxes are economical and can be stacked closely together. One drawback is a weak cut edge on the front panel and the tuck can run into the window if there is one. 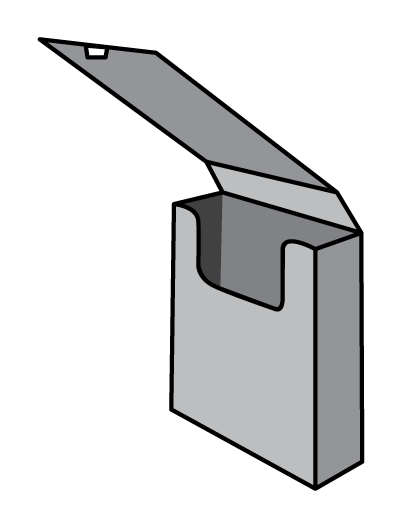 The Tuck Top, Snap Lock Bottom (TTSLB) box, has a stronger bottom than STE and RTE boxes and rests flatter when displayed. Bottom panel has little or no graphics. 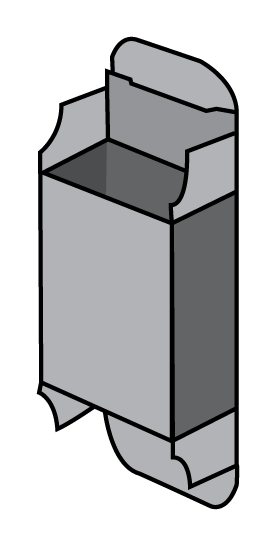 Tuck Top, Auto Bottom (TTAB) boxes have the strongest bottom but is also the most costly of the four to produce. 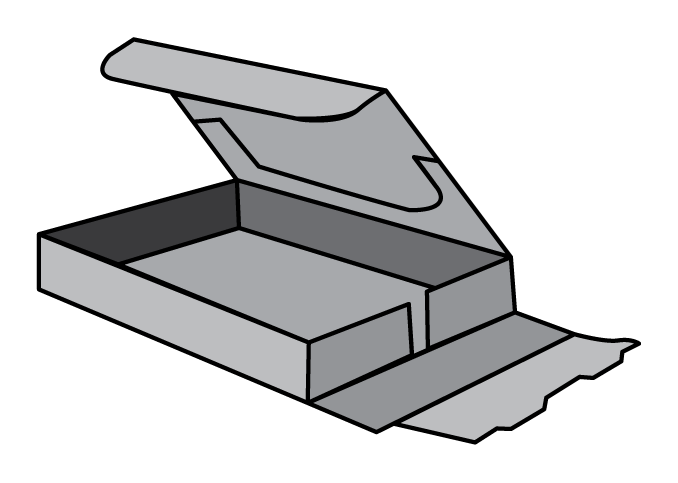 One advantage is that auto bottom boxes are fast to assemble, however they cannot be made in all widths and the bottom doesn’t lend itself to graphics. 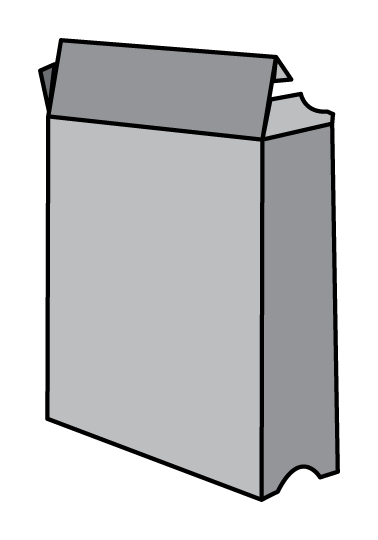 All folding cartons are made of paperboard. This usually comes in white and are coated on one side (C1S board) for best print quality. 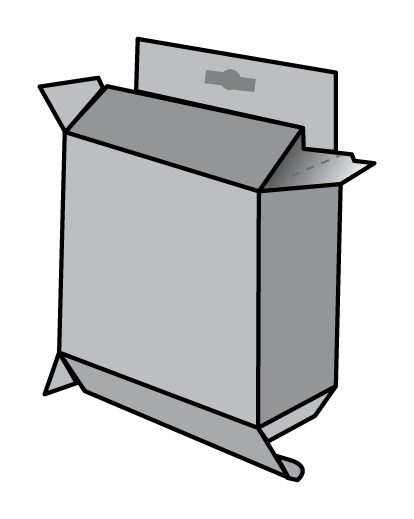 Case cartons, also known as packers, are usually made of chipboard or Kraft paperboard. Here’s a helpful tip when requesting a quote. 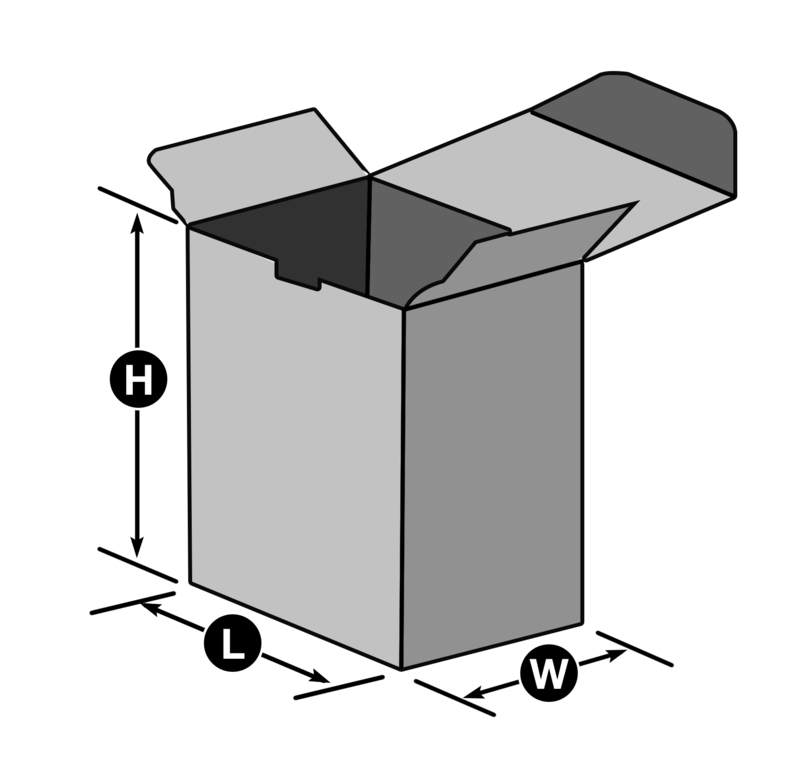 There are three dimensions for a basic folding carton: Length (L), Width (W), and Height (H). When written they should appear in that order (L x W x H). 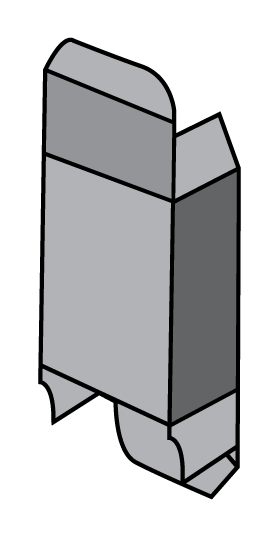 – Length (L) refers to the front panel dimension from left to right. 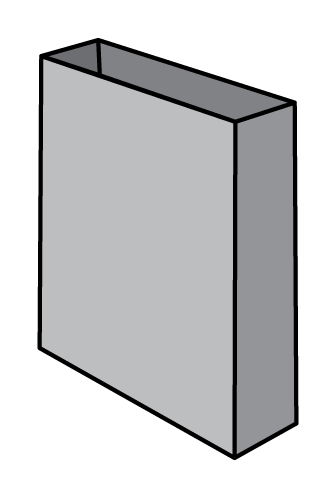 – Width (W) is the second panel dimension from the front of the box to the back of the box. 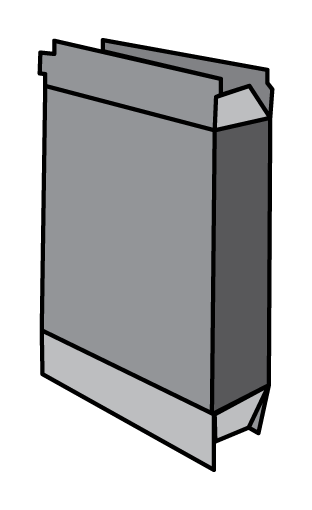 – Height (H) is the distance between the two open ends of a carton, or from the top of the box to the bottom of the box. Clear Pint will help you design your packaging cartons. Please call (818) 709-1220 or email sales@clearprint.com. Located in the San Fernando Valley, we serve Simi Valley, Moorpark, Thousand Oaks, Westlake Village, Santa Clarita, Glendale, Los Angeles and most of Southern California. 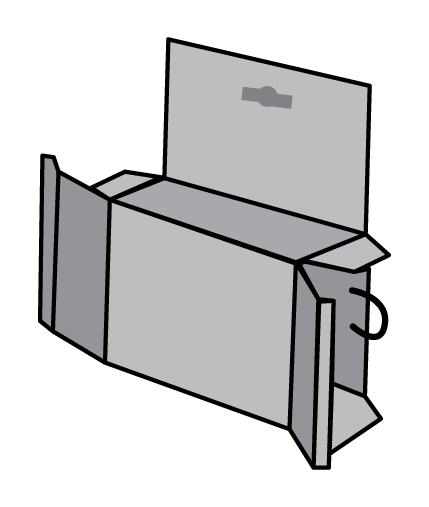 A folding carton offers one of the most economical product packaging solutions. They are a great way to display and promote products plus generate sales. 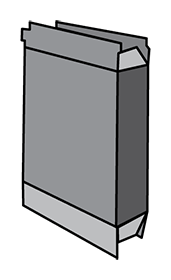 These cartons can be custom-designed to securely hold most any product or a package of products. They provide several advantages for a variety of industries: food, cosmetics, personal care, electronics, health, vitamins and more. The paperboard that’s used comes in a variety of weights from 16 pt to 28 points thick or more to create a carton that’s structurally sound and keeps the contents secure. Your folding carton can also be made with corrugated board with attractive litho sheets mounted to provide for extra support for heavier products. These are also ideal for branded shipping containers. Using CAD workstations and plotters, packaging designers engineer folding cartons to attractively display and securely hold most any product. To enhance product visibility and maximize sales, packaging can be printed in full process color and also feature foiling stamping, embossing, debossing, gloss and satin coatings and more. Clear windows can be added to show off the contents. 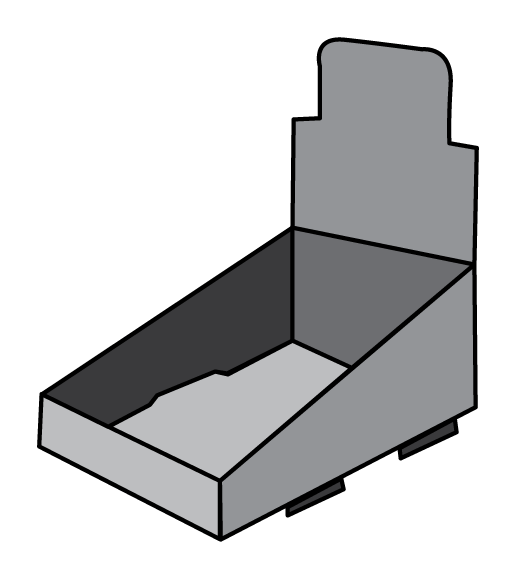 The inside of the folding carton can be printed with product information and user instructions. There are also product sleeves, display boxes, inserts and headers. 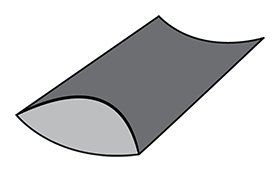 Flat sheets are printed, converted and usually glued at high speed. And since nearly all folding cartons are shipped flat, that makes for low freight costs. Benefit 4: Green & Environmentally Friendly. Paperboard is made from recycled stock and pulp from renewable and sustainable sources. Plus, most inks are vegetable-based. Clear Print offers free CAD designs and prototypes for most product packaging requirements. Just bring in your product samples and we’ll take care of the rest with personal, expert service. Good prices too. Located in the San Fernando Valley in Southern California, we are convenient to Simi Valley, Westlake Village, Thousand Oaks, Santa Clarita, Valencia and the greater Los Angeles area. You can also reach out to us at 818-709-1220 or email sales@clearprint.com.